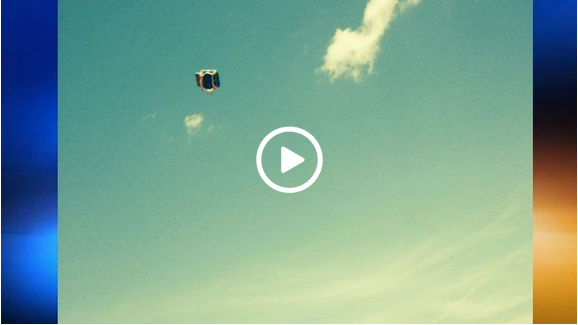 Bounce House Flies Away, Children Seriously Injured. 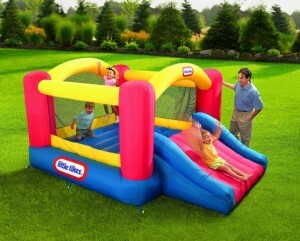 A Little Tykes Bounce House was swept away by a gust of wind on Monday in South Glens Falls, New York. Inside were two boys and a girl, ages 5, 6 and 10. The girl was thrown out quickly after the gust, but the two boys held on and were eventually dumped out of the bounce house from 15 – 20 feet up in the air. The two boys were seriously injured and rushed to a local hospital. One of them landed on the hard asphalt, another on a parked car. There are no updates of the condition of each child. However, one of the boys was seen alert and talking after the fall. I Found The One Video That Can Change The World – Watch And See!